1 (2) Sant. 2 (4) Sant. 4 (8) Sant. 6 (12) Sant. 10 (20) Sant. 15 (30) Sant. 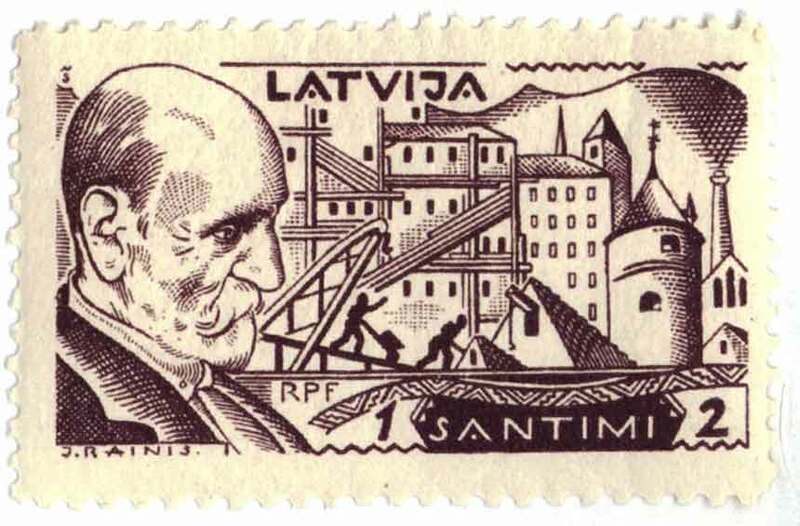 Rainis was one of the greatest Latvian writers and poets. 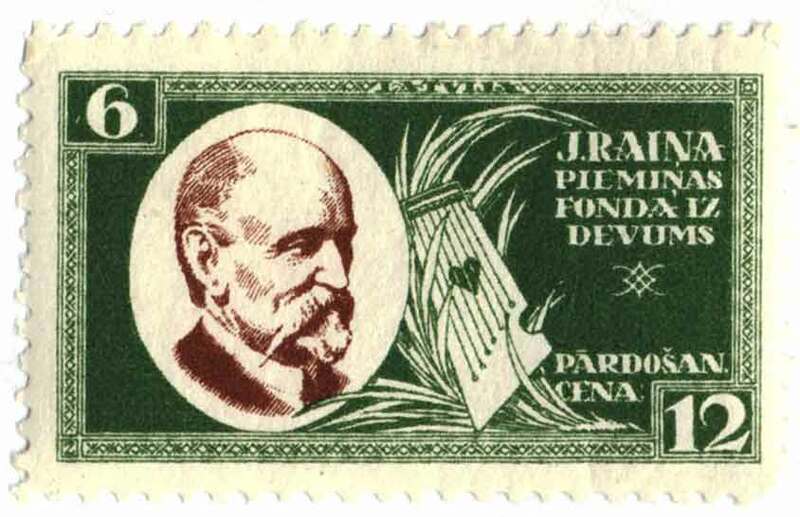 He was born on September 11th, 1865 in the parish of Rubeni, Province of Zemgales. He studied law at St. Petersburg and practiced it in Jelgava. He was one of the founders of the Latvian Social-Democratic Party, which was the reason for hes arrest and deportation by the Russian police. After the 1905 revolution he emigrated to Switzerland and returned to Latvia in 1920. In Riga he became director of the National Theatre and was 1926 to 1928 Minister of Education. 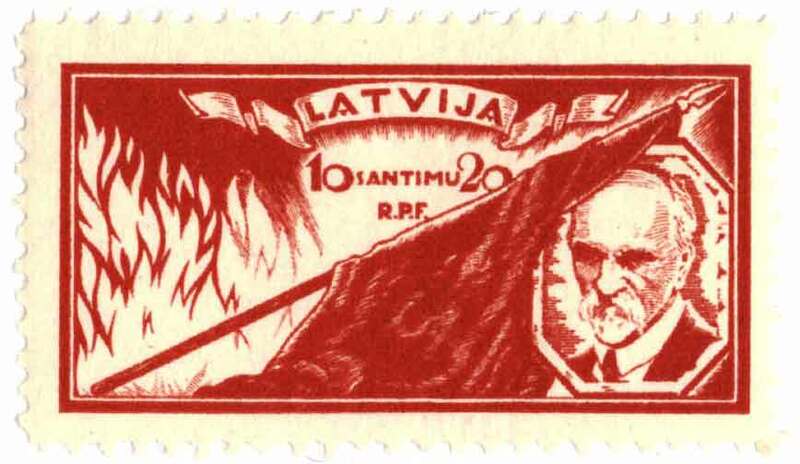 Rainis died in 1929, and became the most popular Latvian playwright and poet of the Latvian Literature. 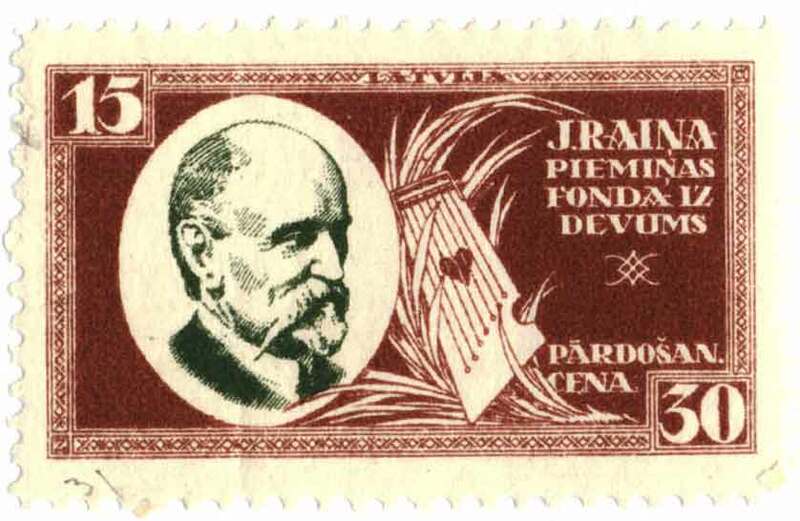 After his death the Rainis Memorial Foundation (Rainis Peiminas Fonds) was organized with the aim to care for his literary heritage. The foundation also took upon itself the obligation to erect a monument on his grave for which purpose an amount of 25,000 Lats was required. 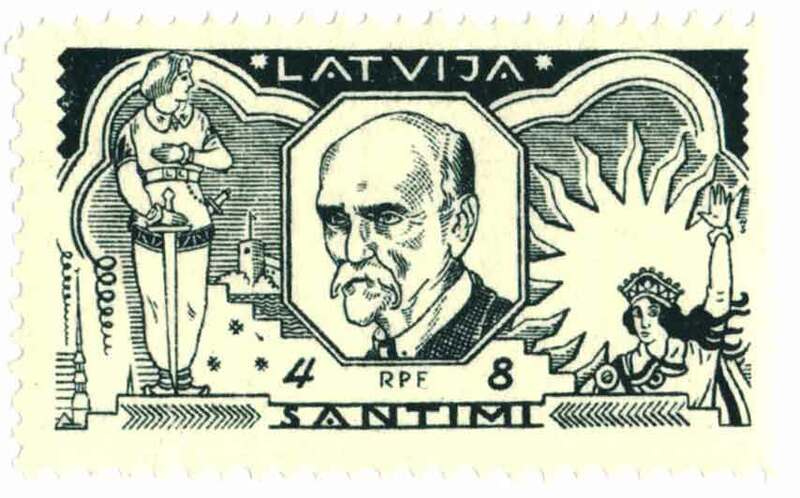 In 1930 the Latvian Government permitted to issue a set of 8 postage stamps (2 of them airmail) with a 100 percent surcharge for the benefit of the foundation for the monument. 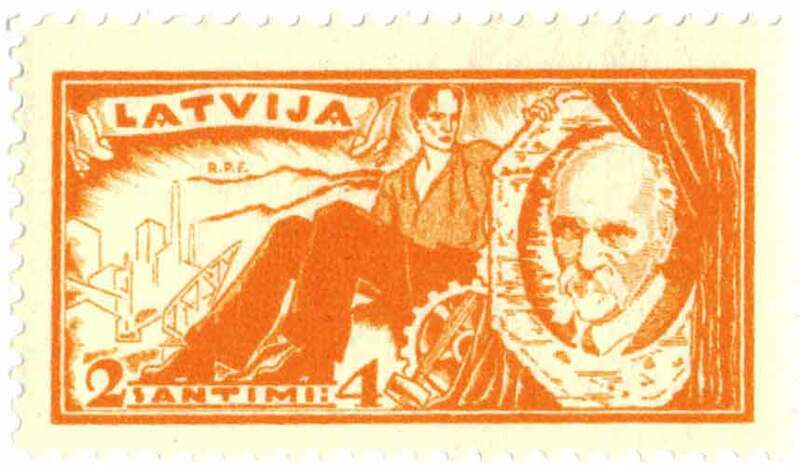 The six regular stamps show Rainis himself and symbolic elements of his literary works, but on the airmail stamps the castle of Durbe is depicted with an aircraft above it. The castle was an official gift of the Latvian people to Rainis, who then turned it over to the Teachers Association. The castle is located at the eastern edge of the town of Tukums. Some authors have reported that the castle was his birthplace; also that it was the located some 25km north-east of Liepaja. Both statements are incorrect. There is indeed a little town of Durbe neat Liepaja, but the two Durbe have nothing in common. The first day of issued for all stamps was May 23rd, 1930. Some catalogues list for the airmail stamps May 26th, which cannot be correct as many cancellations are known of May 23rd. One catalogue lists for all stamps May 22nd, which is not proven.